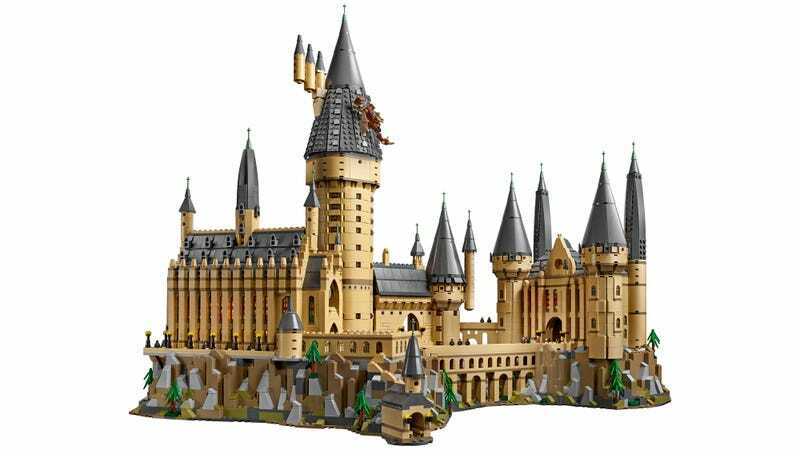 If you thought Lego was out of surprises after all the sets it revealed leading up to San Diego Comic-Con this past weekend, today the plastic brick-maker revealed it had one last giant Hogwarts-shaped ace up its sleeve with a new 6,020-piece Harry Potter castle set that includes 27 microscale figures. Yes, you read that right. Like the meter-tall Lego NASA Apollo Saturn V rocket set and the SHIELD Helicarrier, Hogwarts is another Lego microscale set which means that all of your existing Harry Potter minifigures will be comically large as they wander the halls, staircases, and secret rooms of the castle. That’s why Lego is also bundling 27 microfigures with the set, including Dumbledore, Harry, Ron, Hermione, Draco, Snape, McGonagall, Remus, Umbridge, and even Lord Voldemort, as well as Aragog the spider, the Basilisk, a Hungarian Horntail dragon, and five dementors. Despite the smaller overall footprint of the set, Lego has still managed to stuff an incredible amount of detail into Hogwarts, including the castle’s Great Hall, the library, potions class, the Room of Requirement, the giant chess set, and the Chamber of Secrets, among other places for the microfigures to re-enact scenes from the books and movies. 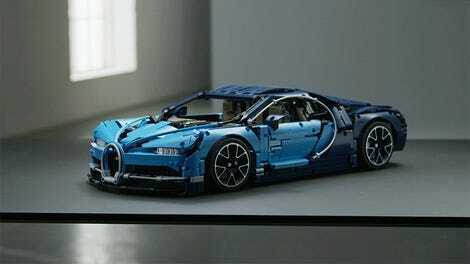 Had it been built at the regular minifigure scale, you’d be looking at a set with a price tag that soars well past the $400 that Lego wants for this one. The steep price tag means this probably isn’t a set for every Harry Potter collector...unless you collect the Potter-themed minifigures. In addition to the 27 microfigures, Hogwarts Castle also includes minifigure versions of the founders of each of the school’s houses: Godric Gryffindor, Helga Hufflepuff, Salazar Slytherin, and Rowena Ravenclaw. It’s the only set that has these characters, so if you’re a die-hard collector, is each one worth $100 to you?